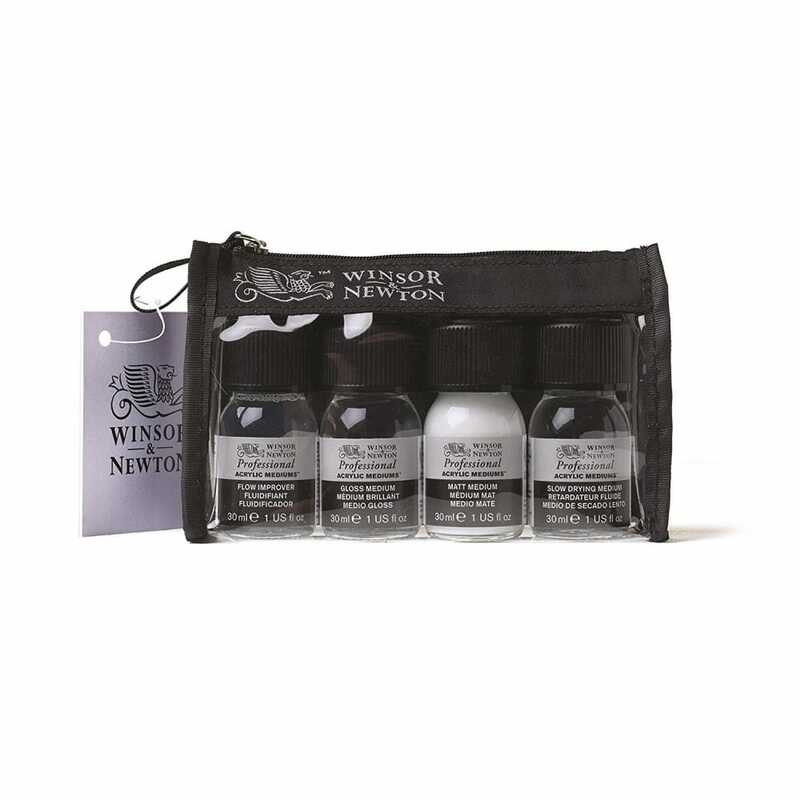 This Winsor and Newton acrylic mediums introduction Set includes Gloss Medium, Matt Medium, Slow Drying Medium and Flow Improver all in a plastic zippered carrying case. An excellent gift for anyone wanting to explore acrylic paints. Gloss Medium; Maintains no colour shift from wet to dry when used with Artists’ Acrylic. Increases the depth, transparency and flow of colour for blending or fine detail and provides an even gloss finish. Matt Medium; Gives colour a matt finish whilst also improving transparency and flow of the colour, great for blending or fine detail. Slow Drying Medium; Maintains no colour shift from wet to dry when used with Artists’ Acrylic. Slows drying to give more working time of colour for extended blending and manipulation. Flow Improver; Maintains no colour shift from wet to dry when used with Artists’ Acrylic. Increases the flow of colour allowing the application of areas of flat, even colour without changing colour strength. Also maintains the stability of colour and slightly slows drying.